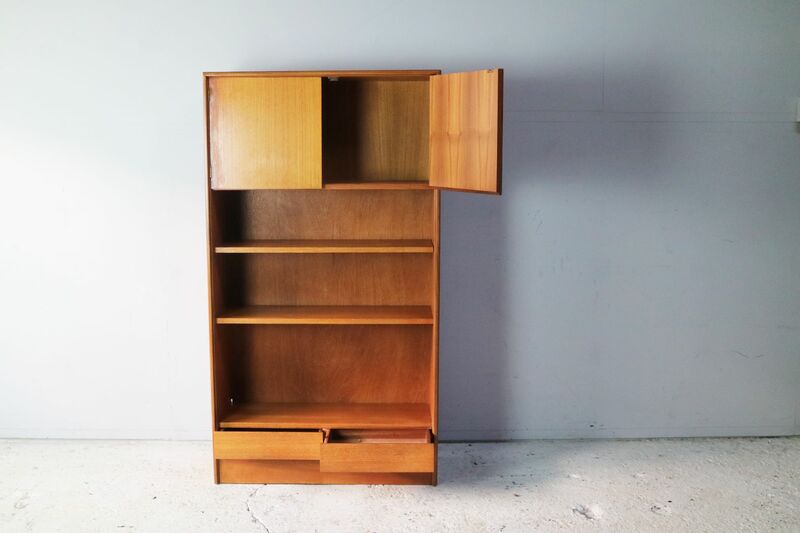 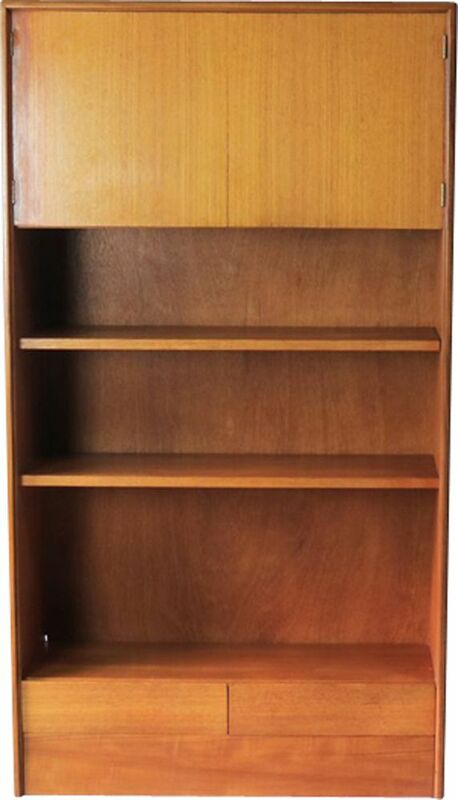 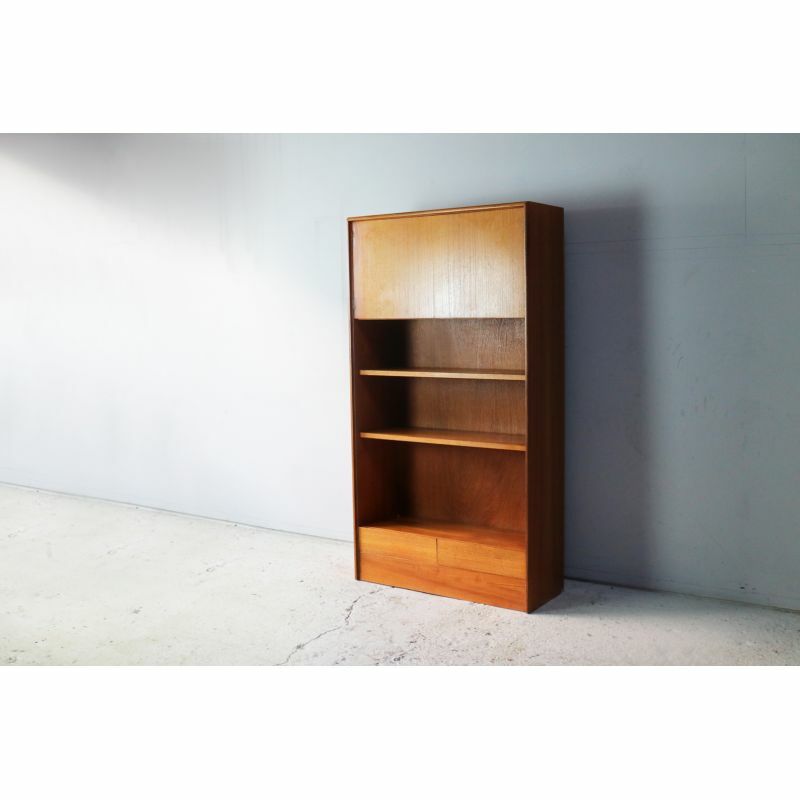 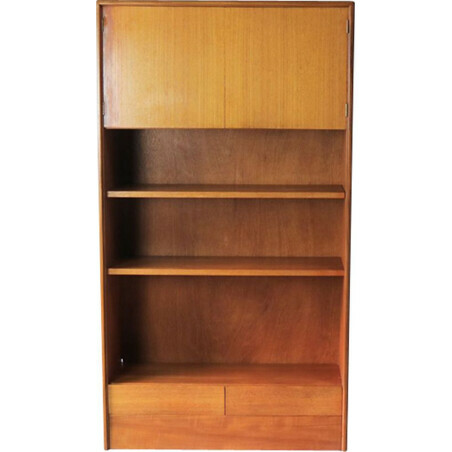 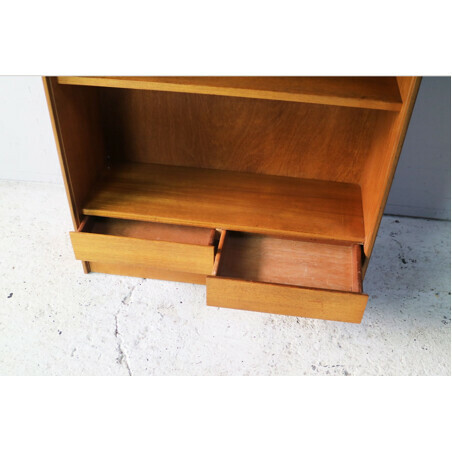 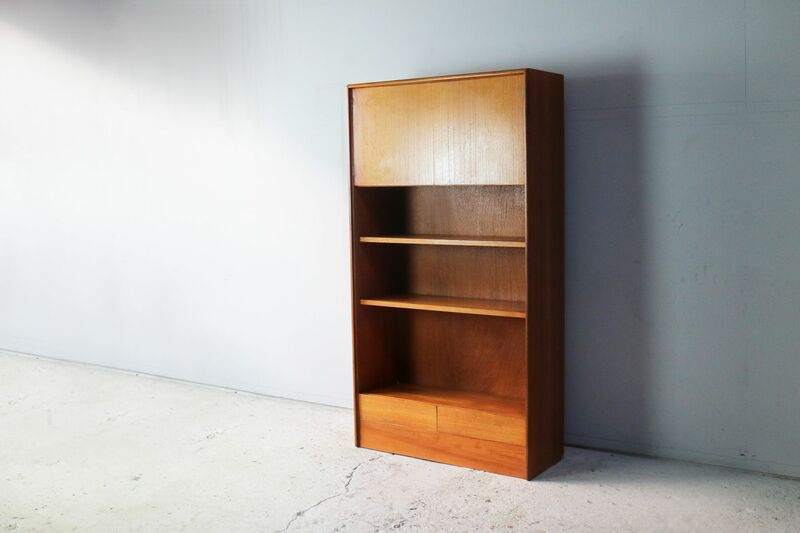 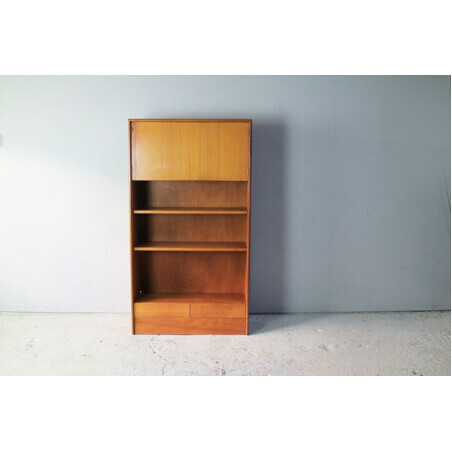 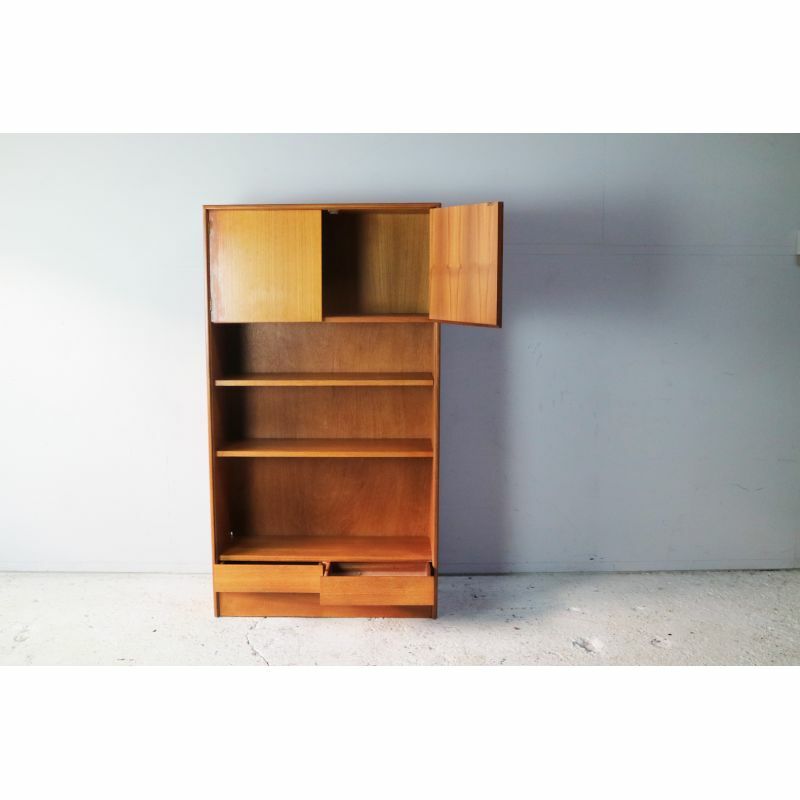 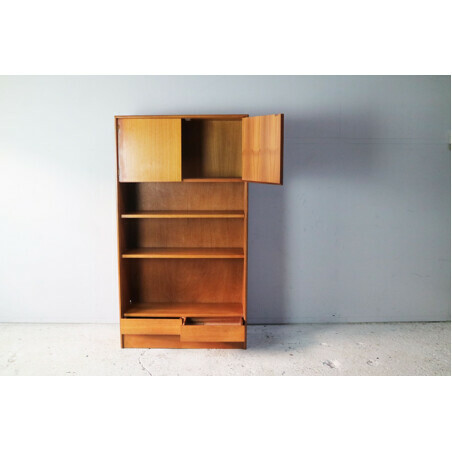 Bookcase by G Plan. 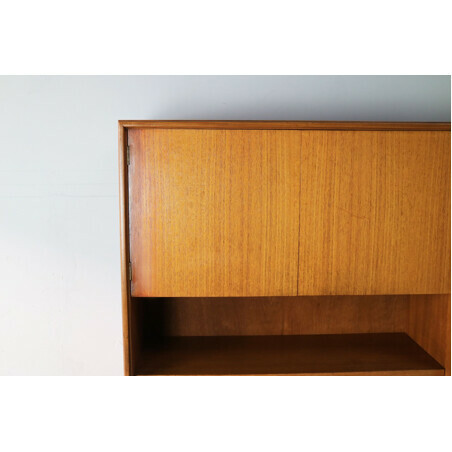 Minimally designed with a Danish sensibility. 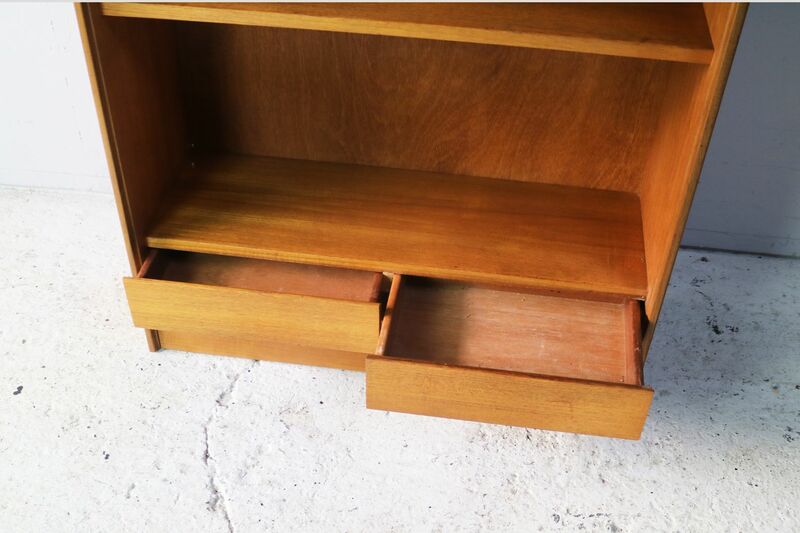 Two cupboards at the top and 2 drawers at the bottom. 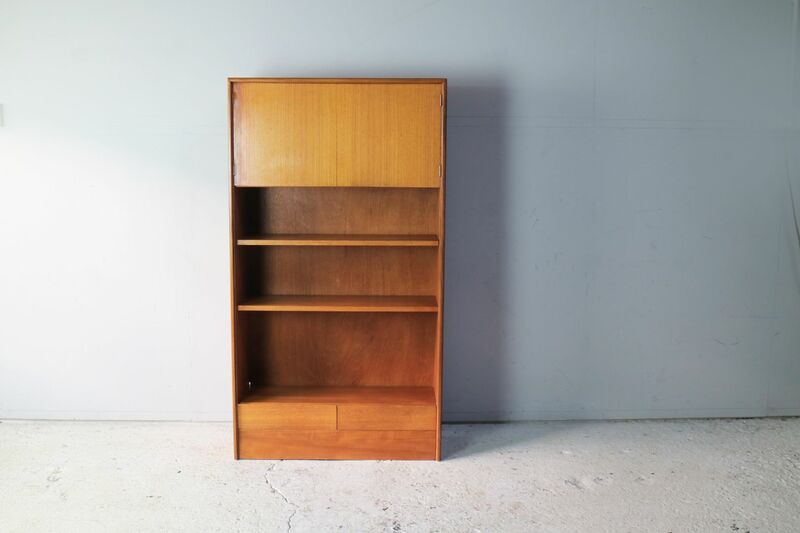 Open book shelving in between. 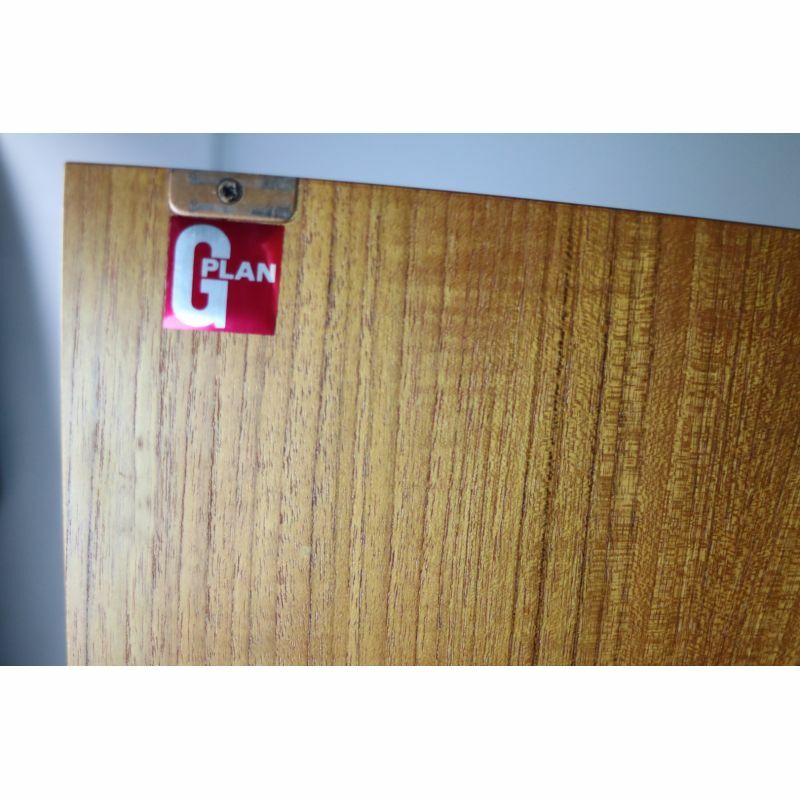 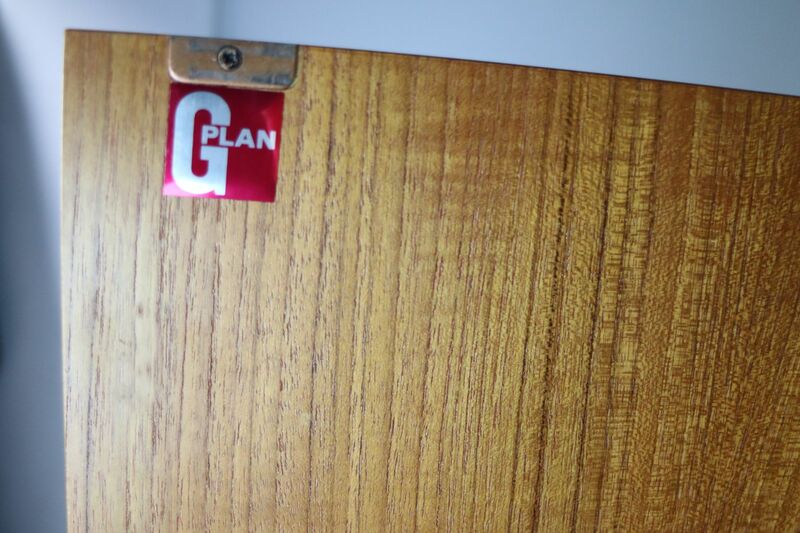 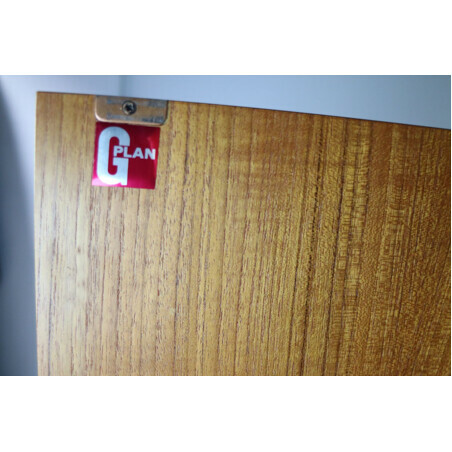 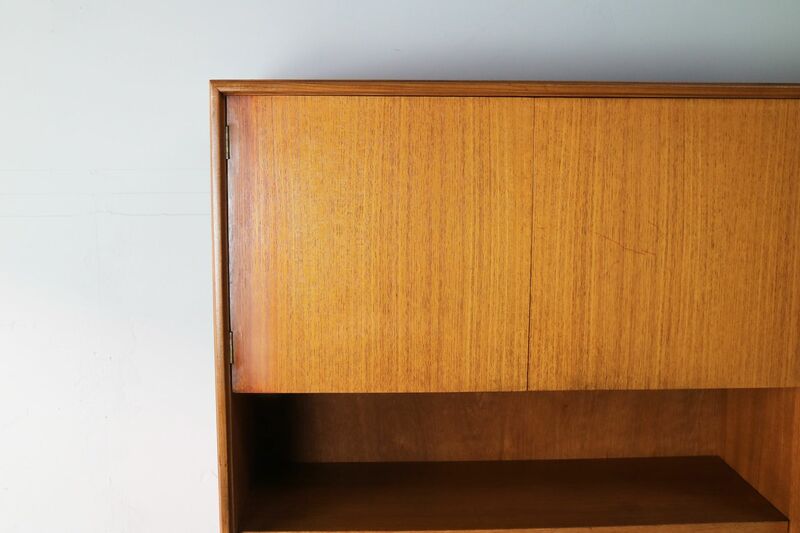 G Plan label is inside of cupboard door.